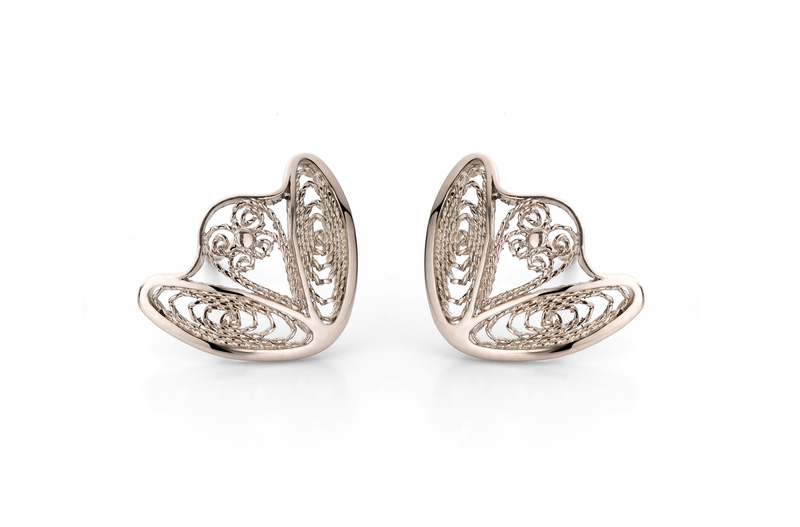 Amour en Cage 18kt white gold earrings made in filigree; an ancient lace-like metal technique. 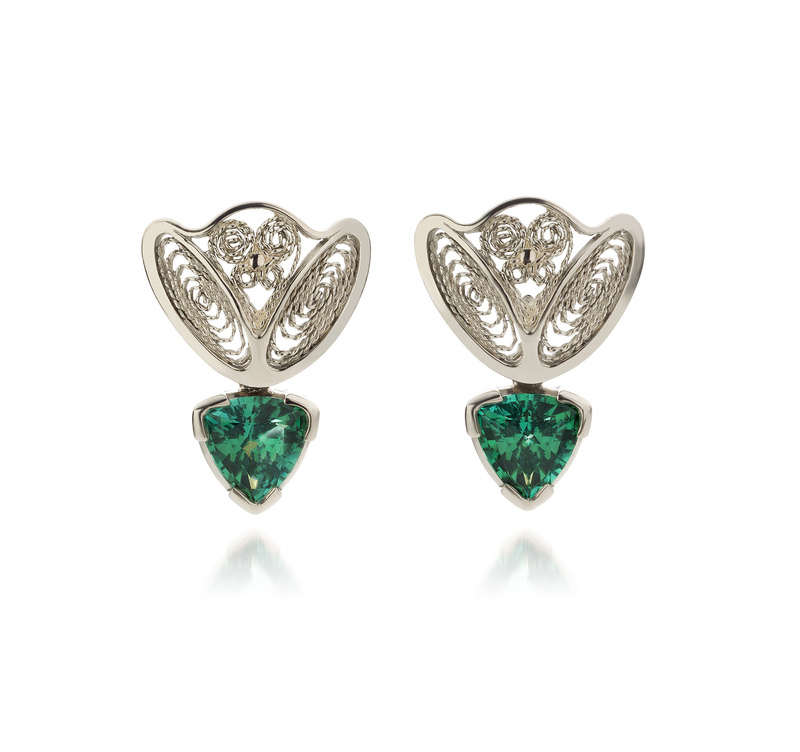 The beautiful pair of forest green tourmalines can be hooked of and are interchangeable. The tourmalines are untreated and unheated and weigh 1.49cts.